Black Hills Open-Top-Tours could have been named Convertible-Top-Tours, because that is what we offer. During the Fall and Winter months they are Closed for inclement weather. 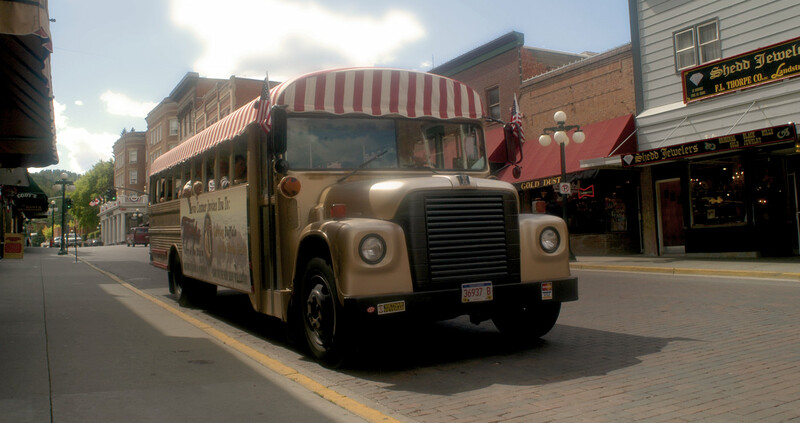 We are a newly established sightseeing company based out of Rapid City, SD. Most of our tours are private; this allows you more time seeing and doing what you wish and in control of your own vacation enjoyment. Our prices are comparable to our competitors offering the same destination . . . but they do not offer the same services. We offer year round tour services for individuals, couples and small and large groups. Serving the Black Hills and Badlands of South Dakota and surrounding areas. Our tours are established on authentic Lakota Sioux history of the Black Hills region. Our guides are professional and knowledgeable and include retired National Park Service and National Forest Service tour drivers and local residents with extensive history of the region. Many of our staff are professionally trained drivers that hold CDL certification. All tours include: admission fees, tickets, free bottled water and energy snacks.